Meryl Streep is an American actress and philanthropist. Her full name is Mary Louise Streep. She was born on June 22, 1949, in Summit, New Jersey. Her father, Harry William Streep Jr. was a pharmaceutical executive and her mother Mary Wolf Wilkinson was a commercial artist and art editor. Meryl has two younger brothers, Dana David and Harry William III. Streep started voice training at age 12 and took up acting in high school. In 1971 she graduated from Vassar College in Poughkeepsie, New York, with a degree in drama and costume design. After working in summer stock theatre, Streep studied drama at Yale University, where she earned a master of fine arts degree in 1975. She then moved to New York City to begin a professional career as an actress. Her first professional debut was in a Jospeh Papp production of “Trelawny of the Wells,” at the Public Theatre in 1975. She went on to appear in five more roles in her first year in New York, including in Papp’s New York Shakespeare Festival productions of Henry V, The Taming of the Shrew with Raúl Juliá, and Measure for Measure opposite Sam Waterston and John Cazale. Although she had not set out to make her career in film, Robert De Niro’s performance in Taxi Driver (1976) had a profound impact on young Streep, who said to herself, “that’s the kind of actor I want to be when I grow up”. Streep’s first feature film role came opposite Jane Fonda in the 1977 film Julia, in which she had a small role during a flashback sequence. Robert De Niro, who had spotted Streep in her stage production of The Cherry Orchard, suggested that she play the role of his girlfriend in the war film The Deer Hunter (1978). The film’s success exposed Streep to a wider audience and earned her a nomination for the Academy Award for Best Supporting Actress. In the 1978 miniseries Holocaust, Streep played the leading role of a German woman married to a Jewish artist in Nazi era Germany. She won the Primetime Emmy Award for Outstanding Lead Actress in a Miniseries or a Movie for her performance. her son in Kramer vs. Kramer brought Streep her first Academy Award win for best supporting actress. The story within a story drama The French Lieutenant’s Woman (1981) was Streep’s first leading role. The film paired Streep with Jeremy Irons as contemporary actors, telling their modern story, as well as the Victorian era drama they were performing. accent drew praise. Streep won her second Academy Award — her first for best actress — for her work on the film. Streep repeated the success story with the biographical film, Silkwood released in 1983. This was her first of the many more real-life characters that Streep has portrayed over the years. moving performance in A Cry in the Dark (1988) as Lindy Chamberlain, the real-life Australian mother accused of having murdered her baby daughter although she claimed that the child was carried off by a dingo. By the late 1980s Streep’s reputation as a brilliant technical actress came to be a burden. Her name was typically associated with a serious, often depressing sort of film, and some critics complained that her performances lacked compassion. As a result, Streep tried to change her popular image by appearing in a handful of comedies, including Postcards from the Edge (1990) and Death Becomes Her (1992), and in the action-adventure film The River Wild (1994). directed by Clint Eastwood, who adapted the film from Robert James Waller’s novel of the same name. Room (1996), an adaptation of the play by Scott McPherson. Renée Zellweger and wife of William Hurt in One True Thing. teaching violin to the inner-city kids of East Harlem, in the music drama Music of the Heart (1999). Streep received nominations for an Academy Award, a Golden Globe and a Screen Actors Guild Award for her performance. In 2001, Streep’s voice appeared in the animated film A.I. Artificial Intelligence. then nominated for an Academy Award for her portrayal of real-life journalist Susan Orlean in Adaptation. Then she appeared in Jonathan Demme’s moderately successful remake of The Manchurian Candidate (2004), co-starring Denzel Washington. Streep was next cast in the comedy film Prime (2005), directed by Ben Younge. Courage and Her Children at the Delacorte Theatre in Central Park. magazine editor in The Devil Wears Prada (2006). In 2007, Streep appeared in the films Dark Matter, Rendition, Evening, and Lions for Lambs. In 2008 she played a middle-aged woman reunited with three of her former lovers in the musical Mamma Mia! and later that year starred with Philip Seymour Hoffman in Doubt, about a nun who suspects a priest of having inappropriate relationships with children at a Catholic school; her performance in the latter film earned Streep another Academy Award nomination. She also garnered critical acclaim for her portrayal of famed American chef Julia Child in Julie & Julia (2009), a role for which she received a Golden Globe Award and another Academy Award nomination. In Nancy Meyers’ romantic comedy It’s Complicated (also 2009), Streep starred with Alec Baldwin and Steve Martin. British prime minister. For her performance, Streep earned her eighth Golden Globe Award and third Oscar. In 2014’s The Giver, a motion picture adaptation of the young adult novel, Streep played a community leader. Award nominations for Best Supporting Actress. In 2015, Streep starred opposite her real-life daughter Mamie Gummer in the Jonathan Demme and Diablo Cody film Ricki and the Flash. Streep delivered an ebullient and sympathetic performance in the title role of Florence Foster Jenkins (2016), about the tragicomic but ultimately inspiring efforts of a syphilitic society matron to establish an opera career. For her performance, Streep won the Critics’ Choice Movie Award for Best Actress in a Comedy, and received Academy Award, Golden Globe, SAG and BAFTA nominations. In April 2017, Streep again worked with Rob Marshall and Emily Blunt, in Mary Poppins Returns, playing the title character’s cousin Topsy. She holds the record for the most Academy Award nominations of any actor, having been nominated 20 times since her first nomination in 1979 for her performance in The Deer Hunter (sixteen for Best Actress and four for Best Supporting Actress). Streep became the fifth actor to win three competitive acting Academy Awards, after Walter Brennan, Katharine Hepburn (who has four in total), Ingrid Bergman, and Jack Nicholson. Daniel Day-Lewis has since become the sixth actor to achieve this. Streep has also received 30 Golden Globe nominations, winning eight — more nominations, and more competitive wins than any other actor. Streep was awarded the AFI Life Achievement Award in 2004, the Gala Tribute from the Film Society of Lincoln Center in 2008, and the Kennedy Center Honor in 2011 for her contribution to American culture through performing arts. President Barack Obama awarded her the 2010 National Medal of Arts and in 2014 the Presidential Medal of Freedom. In 2017, Streep was awarded the Golden Globe Cecil B. DeMille Award. Meryl Streep has an estimated net worth of $65 million. Streep has been married to sculptor Don Gummer since 1978. They have four children: musician Henry (born 1979), actresses Mamie (born 1983) and Grace (born 1986), and model Louisa (born 1991). Meryl Streep is known for being a perfectionist when preparing for roles and her ability to master almost any accent. She learned to play the violin, by practicing six hours a day for eight weeks, for her role in Music of the Heart (1999). Before succeeding as an actress, she was a waitress at the Hotel Somerset in Somerville, New Jersey. together. The play was called “The Frogs”. Early in her career, Streep received a letter from Bette Davis, whom most critics and cinema historians rank as the greatest American movie actress ever. 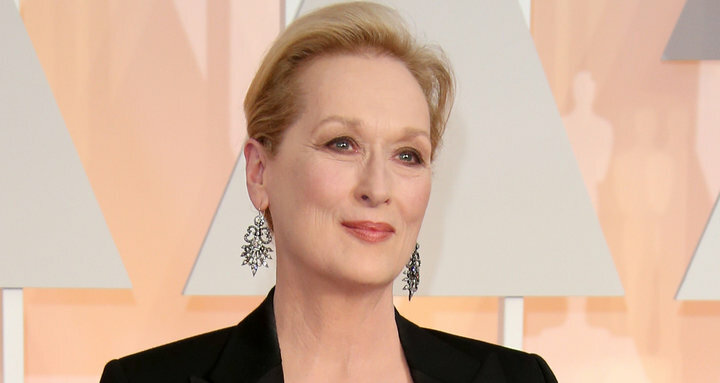 Davis told Streep that she felt that she was her successor as the premier American actress. California on September 16, 1998. She donated her wardrobe from The Devil Wears Prada (2006) to a charity auction. Streep gained as much as 7 kilograms (15 pounds) while filming the Julie & Julia (2009) movie. She donated her entire salary for The Iron Lady (2011) to the Women’s History Museum. Her fans call themselves “Streepers”.